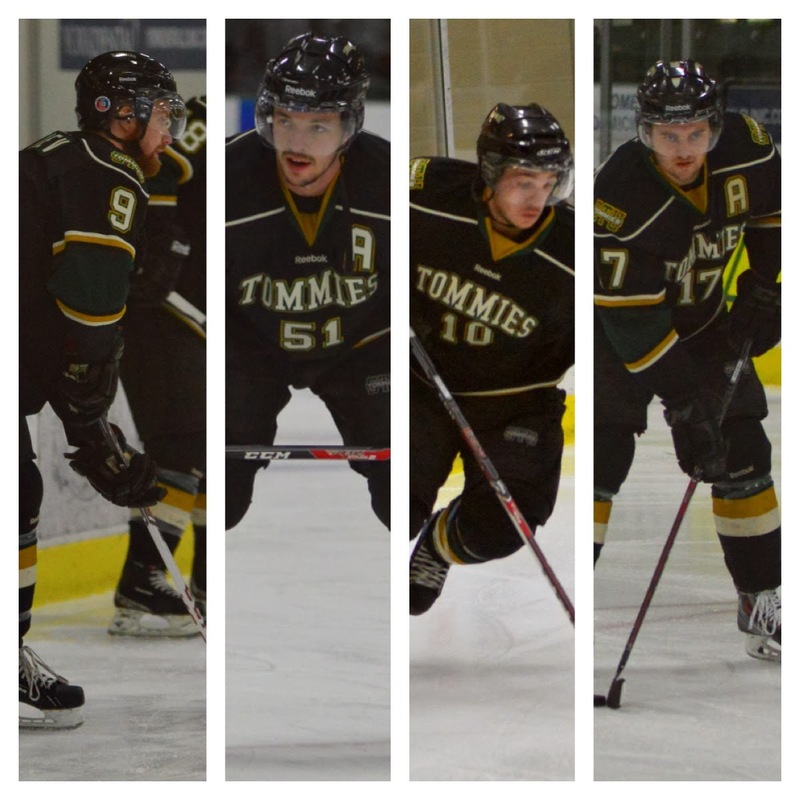 In game two of the AUS quarter finals, the STU Tommies played in Sackville, NB against the Mount Allison Mounties. The Mounties took the deciding game two, with a score of 4-1 over the Tommies. The Mounties opened the scoring midway through the first period on a power play goal, with the Mounties also leading the shots on goal, 15-9. The Tommies poured lots of pressure onto the Mount A. netminder, Kate O'Brien but she held her ground and kept the Tommies off the score board. Mount A added another goal when they scored at 11:10 making it 2-1 in the second period. Almost five minutes after that, though the Tommies scored their first goal on the Mounties off the stick of Jordan Miller (Marcelline) but the Mounties turned around quickly and scored again 28 seconds later to keep their two goal lead. Mount A. held onto their lead at the end of the second period 3-1. The Mounties kept their lead on the shots on goal 12-8. The third period scoring didn't start till 13:32 in the frame, when the Mounties scored the final goal of the game making it 4-1. This goal was the third goal of the game for Mount A. forward Lindsay James. The third period shots on goal went to the Tommies when they put 10 shots on net minder Katie O'Brien to Mount A's 6. The game total for shots on goal went 33-27 for the Mounties. The Tommies kept the pressure up on the Mounties goaltender Kate O'Brien, but were unable to solve her as she did not give the Lady Tommies many rebounds to work with stopping 32 of 33 shots. Kristen Wolfe was knocked down in the second period when a massive scramble happened in front of her crease. The Tommies goaltender was slow to get up but stayed in the game, proving she is a true gamer! The season is not over for our Tommies though as they are hosting the CIS National Women's Hockey Championships March 13, 2014. They will be held here in Fredericton at the Grant Harvey Centre. The final "Battle of the Hill" for the 2013-'14 season. In AUS men's hockey action tonight at the GHC, the V-Reds scored 4 unanswered goals in the 2nd period to defeat the Tommies 6-1 in a penalty filled game. The teams were tied at 1-1 after 20 minutes of play. In the 2nd, the V-Reds took advantage of Tommie penalties, adding 2 pp goals and scored a short handed marker for good measure out shooting STU 11-4 in the period. STU's lone goal was scored on a 2 man PP and came off the stick of Marc-Andre Levesque (Beaudry-Cameron) in the 1st period. Jon Groenheyde started for the Tommies, taking the loss as STU was out shot 23-18. Tonight's attendance, 1300+ including former Tommies Ron Hatfield & Phil Daigle. Tonight's game report is compliments of our Friends at Trius.